The mind is an amazing thing and doesn’t seem to ever get a rest – even during sleep. The body gets recharged during those dark and quiet hours of the night, but young minds could use a bit of focus and concentration to help improve memory and understanding. That is where meditation comes in. And, meditation is not just for Buddhist monks and health gurus. It is starting to be recognized as a way to improve brain function and the young developing mind.Meditation has been around for quite some time, with the first references as far back as 5000 years ago. Buddhists and Hindus are considered the original groups that tapped into the power of meditation and helped spread its popularity across cultures and continents. Many think of chanting, swaying, and odd behaviors when imagining meditating, but do not understand that even sitting quietly for a short amount of time helps focus the mind and encourage memory. Even the Beatles spent some time with the holistic healing concepts of meditation, helping to bring the idea of meditation into the mainstream of modern America. Research has proven that meditation aids the brain in multiple ways. Not only does meditation promote self-discipline and inner awareness, it also affects the brain. The University of Wisconsin discovered mental experiences achieved during meditation creates brain activity in the left-prefrontal cortex, creating inner coordination and concentration in the brain. The prefrontal cortex takes information from all the five senses to help make decisions and create strong memories. Through meditation, the brain builds better memory, understanding and comprehension. And, just like playing golf or practicing the piano, you get better the more you do it. A recent study found meditation encouraged blood flow to the brain, improving memory in adults with specific memory problems. Participants spent 12 minutes daily for eight weeks practicing Kirtan Kriya meditation, a form of meditation that involves sitting and chanting. Results found participants had improved memory abilities and that mild memory problems were deterred from progressing to a more severe state. And it is not just older folks benefiting from meditation. 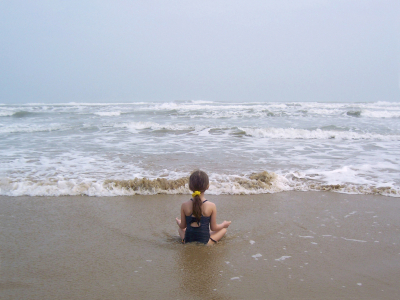 The active child benefits from meditating to calm the mind so it can focus and build memory. Schools are getting involved in using meditation for better success in the classroom and resolving conflict. Private schools, such as Yoga Works in Laguna Beach, California, offer classes to youngsters on how to meditate positively and use meditation to assist with stress relief and thrive in academics. According to ParentingOC, studies published in the Journal of Applied School Psychology find meditating beneficial to students as young as first grade. Meditation before school or at the end of the day helps the child focus and concentrate on concepts and situations he may be working through or wanting to remember. Being taught meditation concepts early in life offer the child the ability to have a life-long skill to build brain function and retention. Not only does meditation encourage memory function and healthy brain function, but also traditional meditation concepts encourage mindfulness. Children in inner-city schools in Oakland are starting their days with the striking of a Tibetan singing bowl to encourage mindful awareness. During an eight-week classroom experiment, children were led through meditation practices to induce inner-awareness, kindness, and thoughtfulness. Kids were less stressed and more open minded when dealing with frustrating situations. The children found they had knowledge of how to solve problems within themselves, leading to better self-esteem and understanding of others. -Ringing bell meditation: Have the child sit in a crossed-leg position with his eyes closed. Ask the child to focus on using his sense of hearing to listen for a bell and the whole sound it creates. Then, gently ring a bell and, once the sound of the bell has finished, invite the child to open his eyes and discuss the sound the bell made, encouraging active listening. After practicing listening to the bell for several meditation sessions, lead the child through active listening for sounds he hears around him while sitting in silence. -Breathing to the beat: Deep breathing helps relax the body and circulate blood and energy throughout the body. Select music that is calm and has a slow regular beat and invite the child to sit in a crossed-leg position with his eyes closed. Now, invite him to slowly breathe deeply to the beat while concentrating on the movements his body makes while inhaling and exhaling. Once the song is over, discuss with the child how his body feels. He can use the technique to calm or focus his body without the music by closing his eyes and counting five deep breaths in a quiet corner. -Directed imagination: Use directed discussion to help lead the child through imagining working through issues or situations – or for general relaxation. Invite the child to find a comfortable spot sitting with his eyes closed. After he has taken a minute to breathe deeply and relax, guide him through directed imagination by asking him to imagine walking on the beach or sitting in the sun. Then, once the child is calm, he can be led through imagining dealing with challenging situations, like memorizing skills for an upcoming test or dealing with a bully at school. Meditation not only builds the brain and aids in relaxation, but also encourages the young child’s imagination and development. Spending time focusing on meditation is an opportunity to help a child learn to focus and build memory skills as well as to enjoy some quality time together. hello thereFirst the meditation..Meditation leads to umttlaie inner peace and enlightened feeling. When our day-to-day activities and schedules are making us restless and when we are always running to achieve results to succeed in our respective fields, we are not getting sufficient time to remain on our natural self.Our busy routine is making way for several unhealthy practices and disorders such as stress, tension, irritation, etc. This is probably the reason why several people are considering doing meditation to spend time with their inner self and experience the height of spirituality. There are numerous physical and psychological benefits of meditation. Some of its advantages are given below.Health BenefitsThese days you will find quite a few yoga and meditation centers and the purpose of those centers is not just providing spiritual practice. It deals with proper lifestyle management and protects us from several menacing diseases. Meditation provides higher level of relaxation and hence it slows down the heart rate and increase blood flow. Meditation also reduces blood lactate levels and thus it avoids anxiety attacks. Level of blood pressure stays normal due to meditation.If the level of serotonin is low in our body, then it can lead to insomnia, headaches, depression and even obesity. Meditation increases the production of serotonin in our body. It also helps us to maintain stronger immune system by destroying cancer and bacteria cells naturally. If someone has gone through operation, meditation helps effectively in quick healing. Meditation is also useful for chronic disorders such as arthritis and allergies.Concentration, Confidence and HappinessConcentration is the key to success, whether you are studying, working or just playing. Meditation increases our concentration level and thus we gain confidence in our respective fields of work. This combination of concentration and confidence leads to happiness. Happiness gives umttlaie peace of mind and helps us stay away from negativity.Meditation thus teaches us to remain positive and learn the essence of life. It helps us to gradually discover the purpose of life and thus we become more spontaneous and creative to deal with different situations successfully.Second Talking to that girl.Go to see her and do small talk. Choose something absolutely non threatening to talk about kinda small talk. Do it even if you have butterflies but remember keep it to small talk and small things. You can talk about yourself quite a bit, just talk about the things you like. Keep your first interactions short and simple. When you will feel less threatened and she will know you more, then go for a coffee together !GOOD LUCK ! I haven’t taken Gingko personally. Some polpee love it a small few get too stimulated..heart palpitations. As far as breast feeding goes I would think that, just like caffeine, it ends up in the milk, but I’m not sure.You might want to try Gotu KolaI use Rhodiola Rosea tincture when I need to concentrate and focus. The benefits of doing mieitatdon vary from person to person, depending how much you put it into practice. If you learn how to meditate properly, the energy felt recharges everything that has been drained from overworking, stress, lethargy. it improves your immune system. and you have total clarity and harmony with yourself. If you are knowing yourself you would have all the courage in the world.